These stylish glass plaques feature a peak shape design that is perfect for rewarding peak performance. 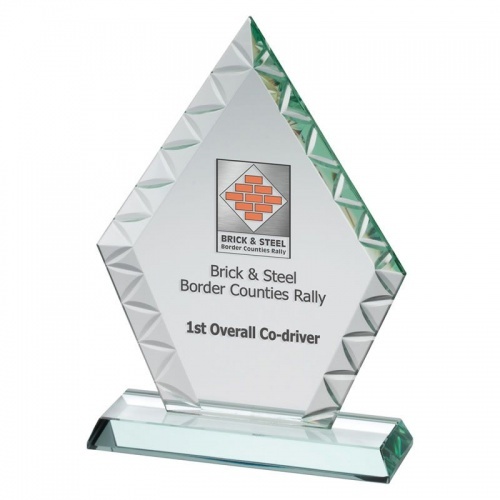 8.75in tall and crafted in 10mm thick jade glass, they feature distinctive decoration on the thick bevelled edges and have a large flat front for engraving. Colour print option also available (please contact us for quote). Supplied presentation boxed.